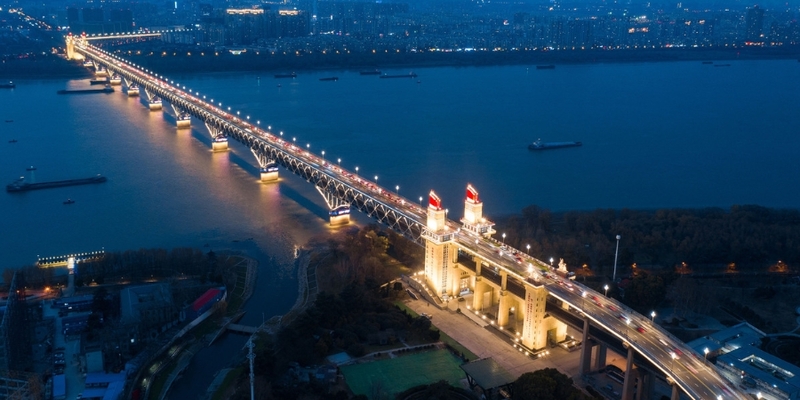 As the world's longest sea bridge is ready to open in China, the attention is not only fixated on the project's traffic convenience and economic benefits, but also on the life of the Chinese white dolphin, an endangered species. After two decades of efforts in tree planting and water treatment, the capital of Qinghai province stands as a shining example of China's green development. New ship designs and dredging will open the river up to larger vessels. Artificial intelligence has come to the farmyard, helping to ensure the country's increasing numbers of pigs remain active and crop yields grow ever larger. China's high-speed railway network has vastly improved the travel speed for its citizens and created a new driver for the country's economic development and innovation. China always puts ASEAN high on its diplomatic agenda. The two sides elevated their relations to the strategic partnership for peace and prosperity in 2003. After years of hard work, the vineyards at the foothills of the mountain, often referred to as China's Bordeaux, now cover 200,000 hectares, accounting for one-fourth of China's grape planting area. In the eyes of Leung Chunying, Hong Kong's former chief executive, the city's role changed as China's reform and opening-up gradually moved forward. A key meeting has signaled that China will put more focus on maintaining the stability of the economy in the second half of this year amid external uncertainties. When students from a university in Wuhan signed up to become volunteer teachers in rural Guizhou, many found it to be a life-changing experience. 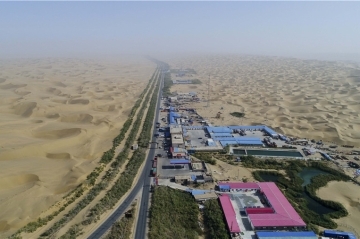 The Baotou-Lanzhou Railway, which began operating in 1958, passes through the Tengger Desert in the city of Zhongwei in Ningxia Hui Autonomous Region six times. A landmark project to open up China's market to the world, the first China International Import Expo affirms the country's commitment to free trade and shared prosperity. The BRICS countries, namely Brazil, Russia, India, China and South Africa are teaming up to make more biomedicine contributions to the world. A group of Chinese volunteers is providing free treatment for people with cataracts in countries participating in the Belt and Road Initiative. Dual SIM slots, batteries with long stand-by times, large memory capacities and outstanding cameras are all features that have made Chinese smartphones a huge success in the African market. Priority access to household registration is no longer a major concern when new graduates are choosing a place to live and work. With the 10th BRICS summit set to take place in South Africa on Wednesday, the bloc of emerging-market economies is opening a new chapter in their all-round cooperation after a successful decade. After nearly 50 years of development, tea has not only become Hetaoba's calling card, but also a magic wand for the village and the surrounding area to shake off poverty. Closer cooperation between China, Japan and the ROK, which began in 1999, is significant in building an open global economy. Monday marks the "Major Heat" or Dashu in Chinese, the 12th of the 24 solar terms that divide the Chinese lunar year into two halves. It is also the last solar term of the summer. China and Africa have always maintained the tradition of close high-level interactions, embodying the brotherly ties between them as well as their determination to promote pragmatic cooperation for mutual gain. 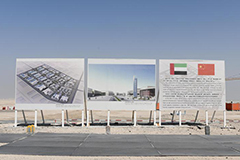 Fruitful financial cooperation between China and the United Arab Emirates (UAE) is expected to help open up new channels of collaboration between Gulf countries and China. 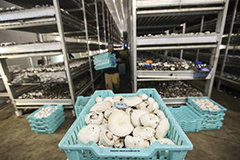 In the industrial park of Cili County, many companies were relocated from coastal areas. The industrial transfer trend had aided county poverty alleviation efforts, bringing opportunities to hard-scrabble local people. While U.S. President Donald Trump sees an "economic enemy" in China, the northeastern U.S. county of Chester in Pennylvania sees an economic partner. Deep in Xinjiang Uygur Autonomous Region is China's largest desert, the 337,000-square-km Taklamakan. Across China, it is known as the "sea of death." 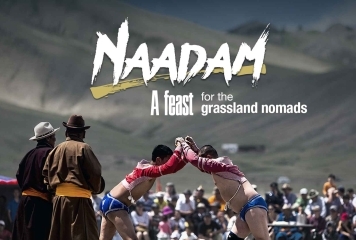 Naadam, also known as "Nair," means entertainment, and gambling in ancient times, in the Mongolian language, which shed light on the Mongols' spiritual pursuits for freedom and power through a series of featured events. 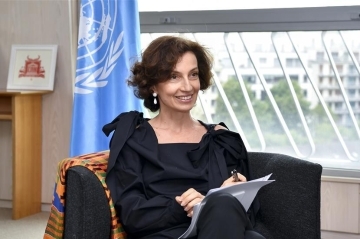 China, which has been committed to multilateralism, is a strategic partner for UNESCO and "we can reinforce Chinese-UNESCO cooperation and move to a higher level", UNESCO Director-General Audrey Azoulay has said.